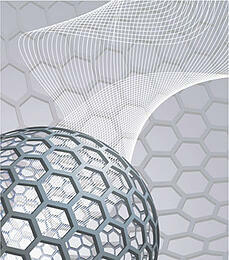 Nanotechnology research continues to increase our understanding of the opto-electrical properties of nanostructures. Precise control allows their use in semiconductor electronics at the interface to optical and electromagnetic systems, which can lead to high-performance and energy-saving processors. Nanomaterials have the potential for cancer diagnosis and therapy simultaneously. Separate investigations by researchers in France and in the United States suggest the results could be particularly effective for aggressive forms of cancer. In this corner, fighting out of Samsung Town, South Korea, 10-time defending champion as the number one seller of TVs in the world, Samsung Electronics. A simple paper sheet can improve the quality of life for millions of people by removing resistant viruses from water. The sheet, made of cellulose nanofibers, is called the mille-feuille filter because its unique layered internal architecture resembles that of the French puff pastry mille-feuille (thousand leaves).